Send Lovely Red Roses in a basket to Chennai. Gifts to Chennai. Send Flowers to Chennai. 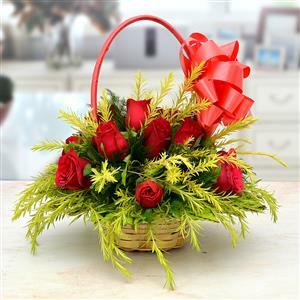 Description : Surprise your dear ones in Chennai by sending this beautiful flower basket through Gift2Chennai.com. This round shaped basket comes with 12 red roses. Send this basket of roses with other Gifts to Chennai.